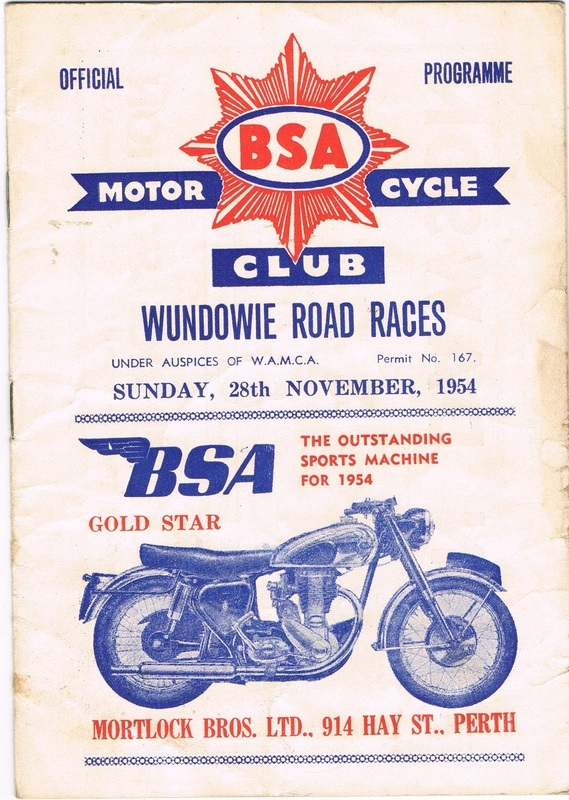 Motorcycle road race events were organised by the BSA Motorcycle Club of WA between 1953 and 1957, The Perth Tq Car Club held a one only meeting on the 30th of November 1958. The Perth Tq Car Club held a race meeting around the streets of Wundowie on the 30th of November 1958. This was the one and only Tq race meeting to be held at Wundowie.